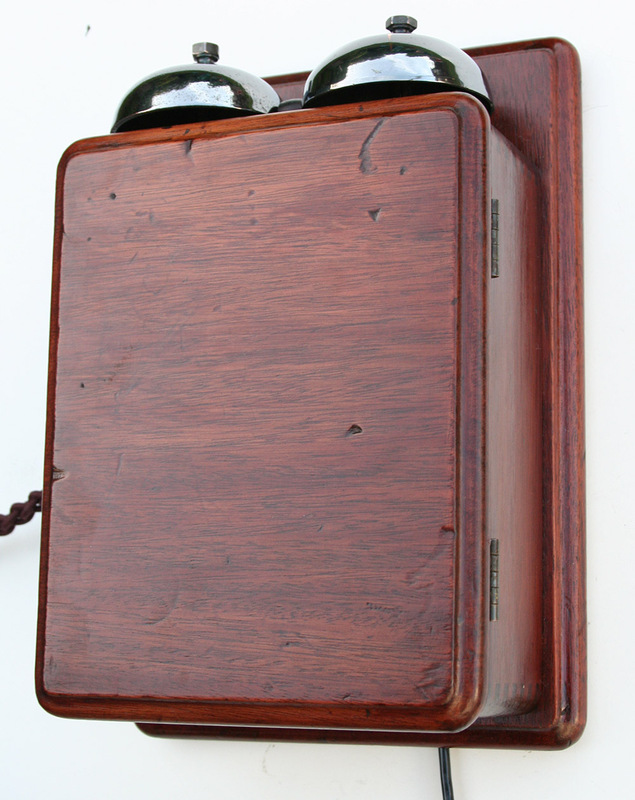 These early telephones require a lot of work to make them this good. 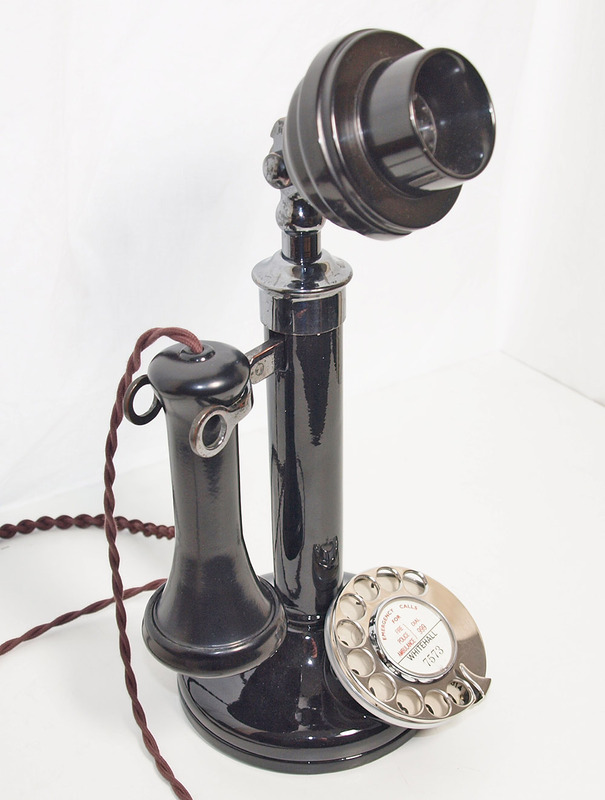 This telephone has been totally stripped down to its component parts and then the metal painted parts have been sent away to be re finished. 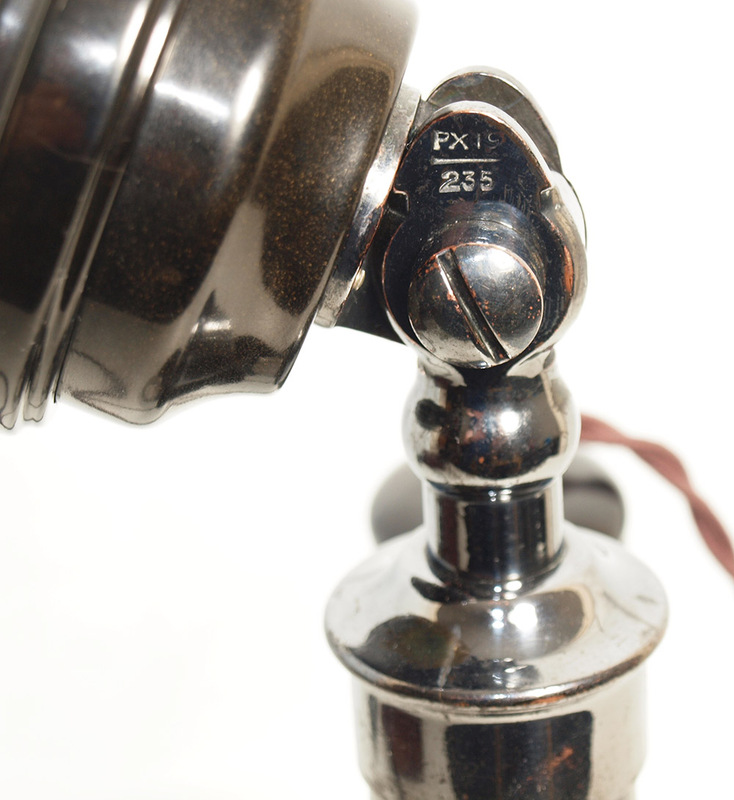 The Bakelite parts are cleaned and then polished back to the original condition. 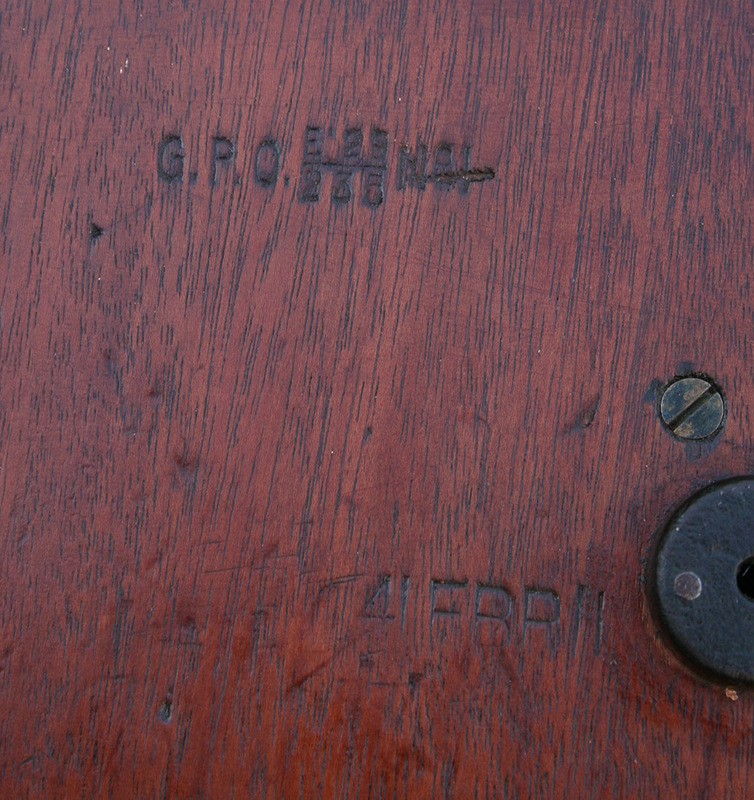 The GPO factory blackened parts are usually too far gone to recover but in this case the original GPO Finnish has been restored without the need to have them re plated. As you can see they are not perfect but some people prefer them with some patina and of course some don't and so if you are the former then this one is for you. The dial has been stripped down and rebuilt and then set up to the correct speed to enable it to work on both cable and copper wire networks. 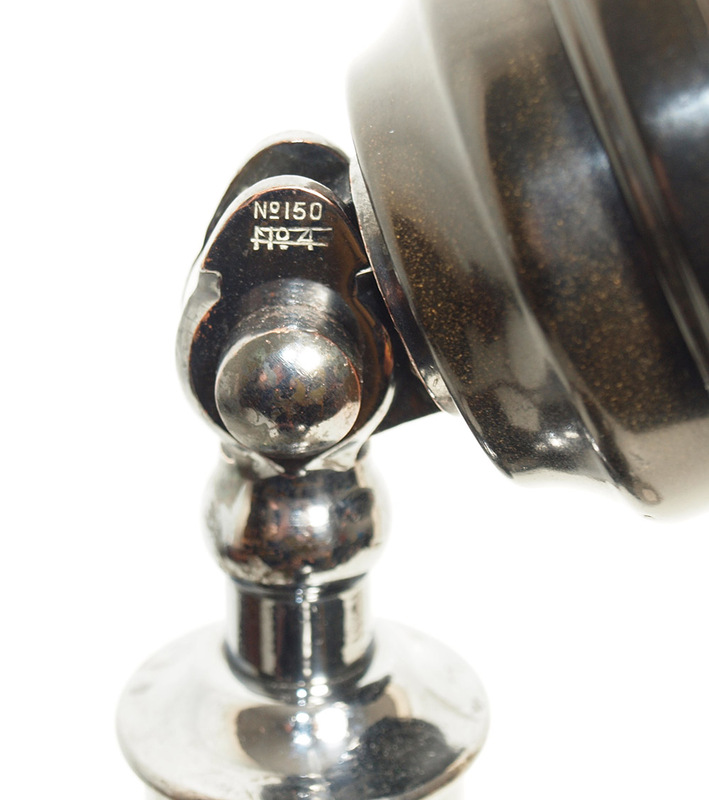 Parts that have degraded like the rubber seal on the base have been replaced. This one has best quality hand plaited braided all British manufactured cords to the bell set and ear piece. 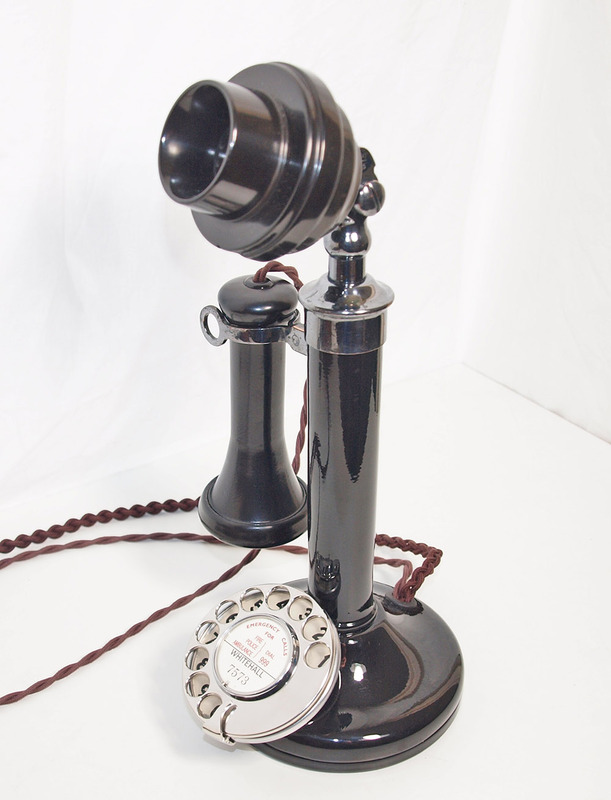 A 3 meter GPO specification round plastic line in cord with a UK telephone socket and a wonderful quality electronic microphone has been fitted. 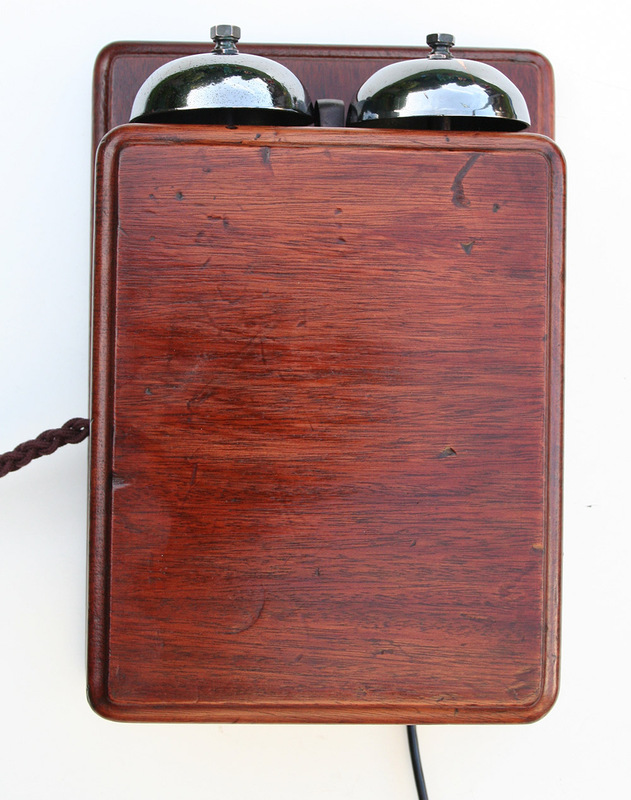 Note the history of these telephones is stamped on the neck as shown and this one started life as a GPO No4 and manufactured in 1919. 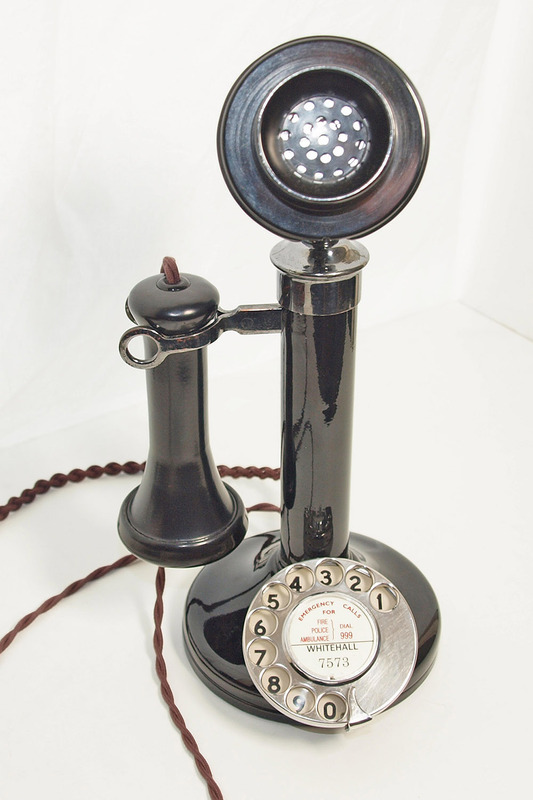 The GPO didn't sell telephones they rented them out and so when this model was out dated and returned to the stores from its last customer it was upgraded to the latest model which as you can see here was the GPO 150. The same was true of the bell sets and as you can see this one was originally a GPO No1 in 1929 and later converted by the GPO to a No41. 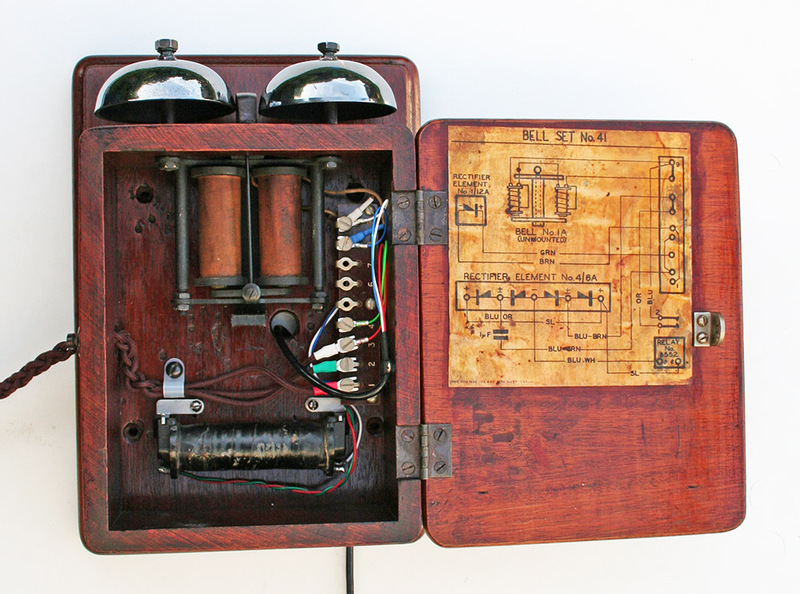 I have converted back to its original configuration using a GPO No27 induction coil to give perfect modern speech quality. The wooden box was sent away to be restored with instruction not to remove all the usage marks but to clean repair and polish to keep some of its long history. 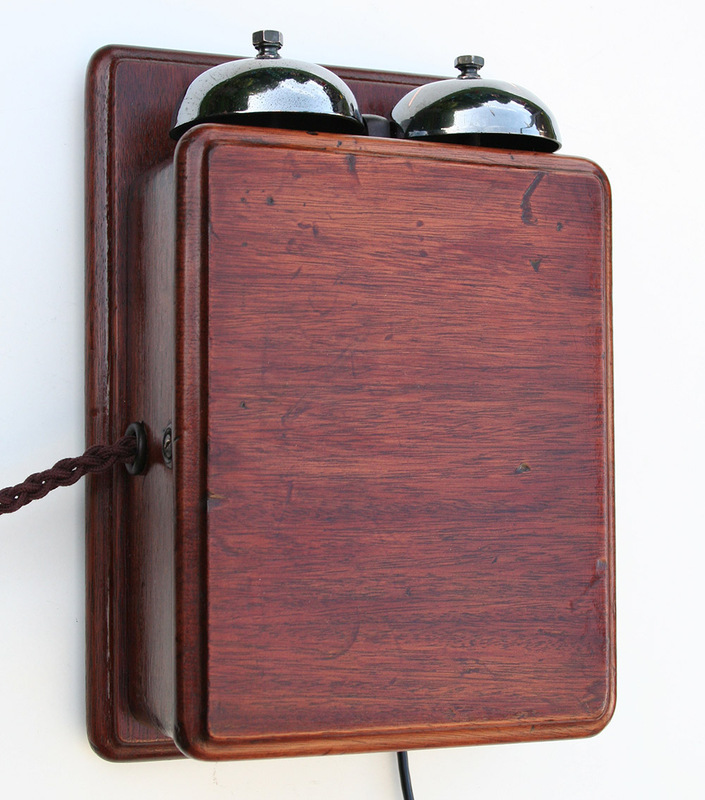 I hope you can see the work that goes into these telephones if done properly. I can make a dial label with your information at no extra charge. Treat this item as a piece of furniture that will never go out of fashion and can be used. Genuinely the finishing touch to the renovation of your home.